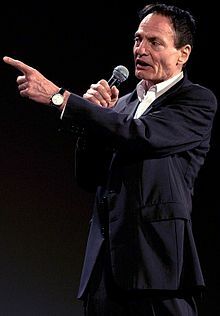 Dieter Laser (born 17 February 1942) is a German actor. He is known to English speaking audiences for his roles as Mantrid in Lexx, Prof. Otto Blaettchen in The Ogre, Dr. Josef Heiter in The Human Centipede (First Sequence) and Bill Boss in The Human Centipede 3 (Final Sequence). This page was last changed on 24 December 2015, at 13:46.